TGIT! Well, for me at least. Today is my Friday and then I actually five days off work with absolutely no plans! Well, no solid plans. I might organize my closet and get it ready for all my new dresses. I'm not sure yet. Anyway, I'm excited to share this trio with you! Rainbow Honey surprised me with this trio and I LOVE the colors that I was randomly sent. I have lots of pictures and a review so keep on reading! 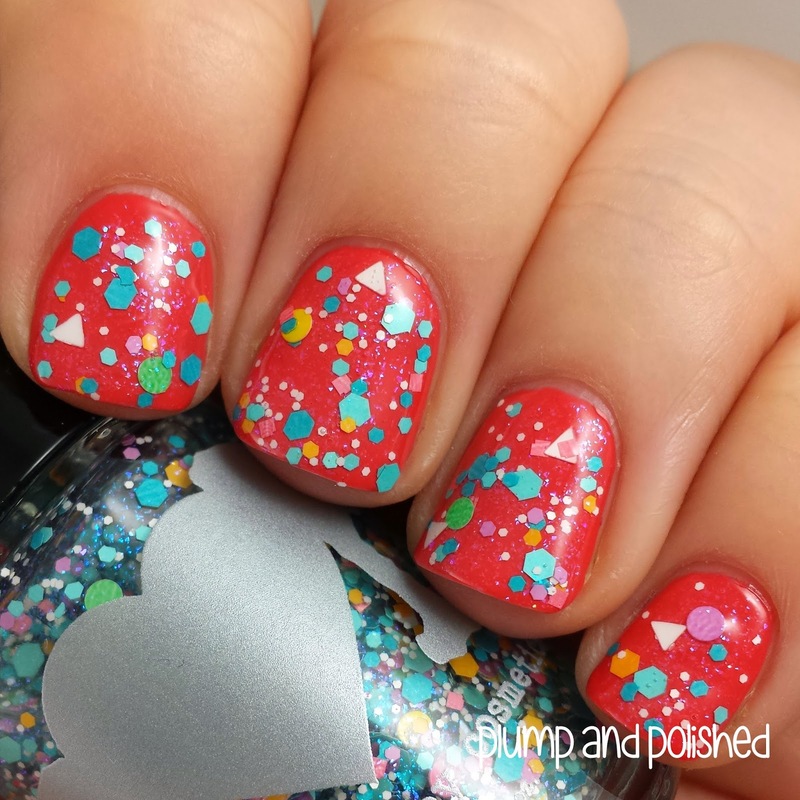 Awesome formula that needed only two coats of opacity! Plus, it dried quickly. It has a slight rubbery finish to it which I don't mind at all. Top coat would shine it right up. So much glitter with no fishing or extra work at all. I used one coat for a great amount of coverage. It dried quickly and only needed one coat of top coat to smooth it over. I love, love, love the pink shimmer in this! It really makes it something else. Beautiful formula. I thought it wasn't going to be very opaque, but I was wrong. Two coats was perfect and a bit of top coat shined it up perfectly. Umm, can we talk about this polish for a bit? 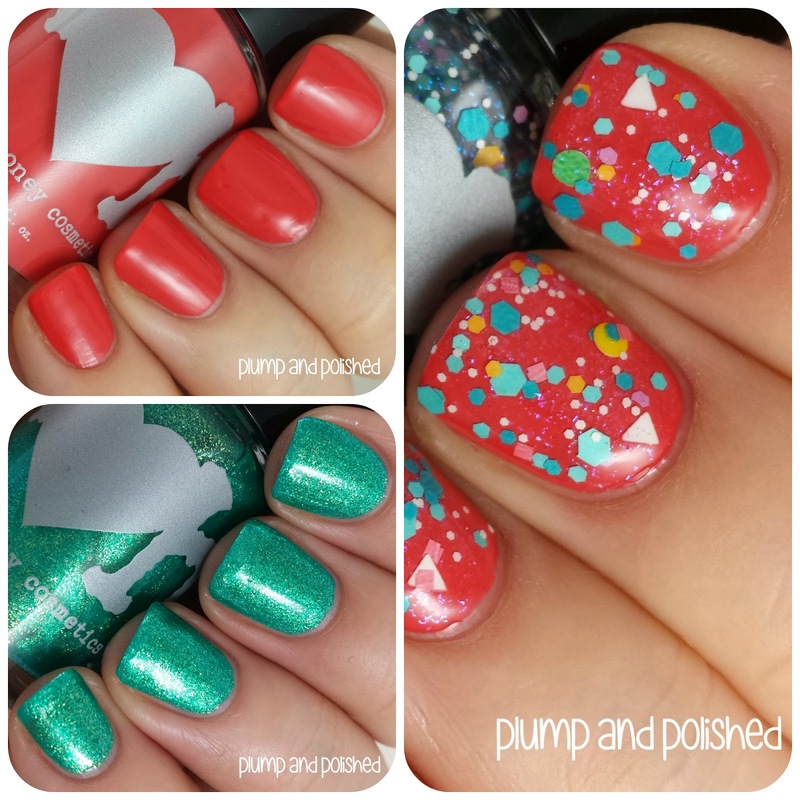 If you want mermaid nails, this is it! This is the perfect sea goddess polish and I love it. It's the perfect mix of green and blue. Oh, and I almost forgot the best part! 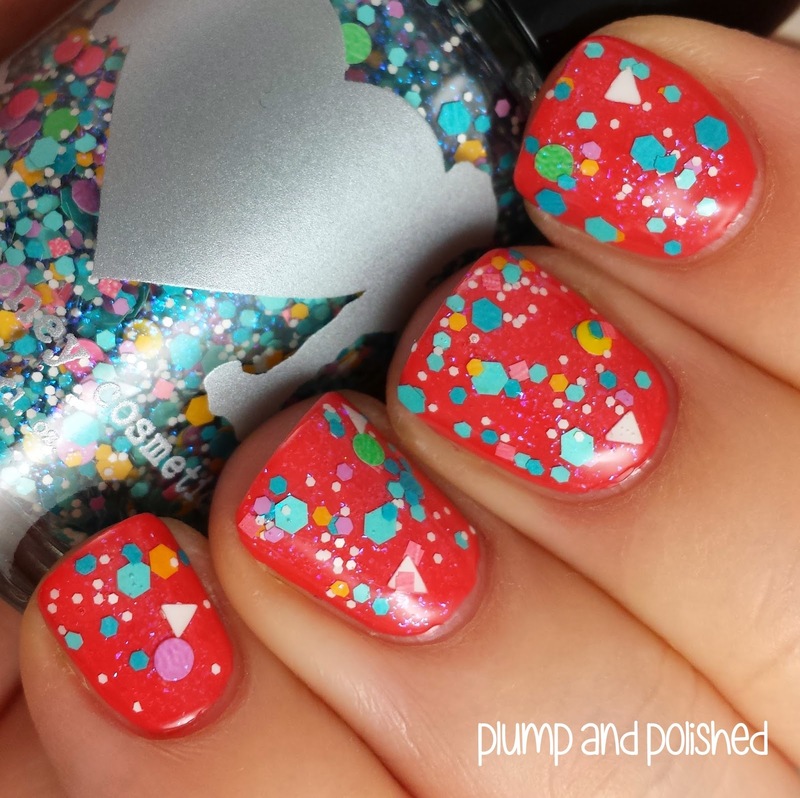 Use code MIXTAPE20 for 20% your purchase of any of the 12 polishes from the Summer Mixtape collection! This is just a small sampling of the awesome collection. The code is valid through August 31st, 2014! Rainbow Honey can be found at www.rainbowhoney.com. Each full size bottle is $10.00 USD plus shipping.